Erdea Manor is a classic old-school dungeon – starting off with ruins on the surface and a set of crypts and passages leading deeper underground. 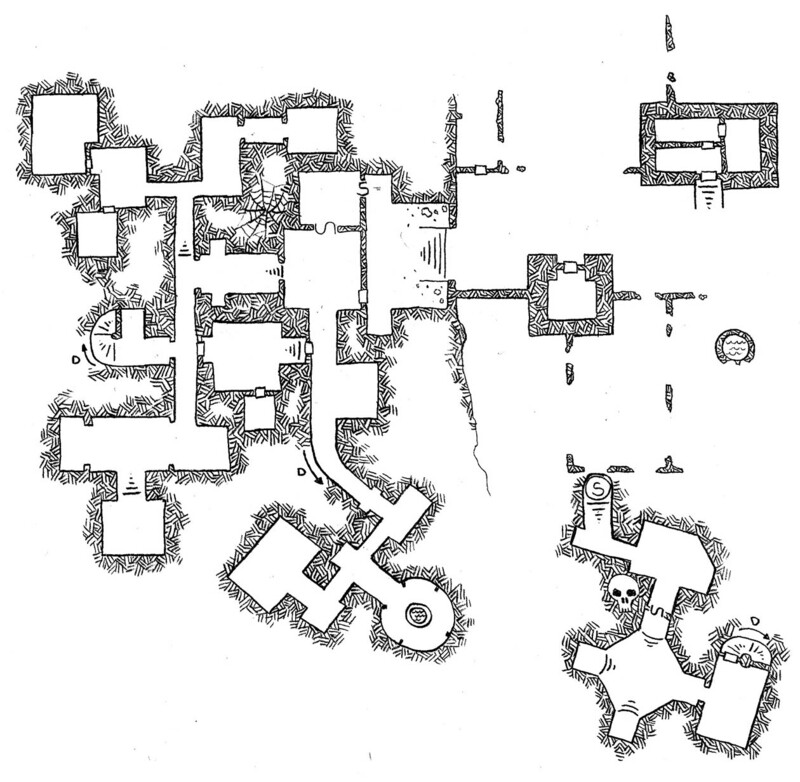 This is the first of four maps in the set – I’ll be stocking this level using the B/X Dungeons & Dragons / Labyrinth Lord rules over the next few days, and then following up with level 2 in a few days, and so on. When the full thing is done I’ll put it into a PDF and post it for your enjoyment. This map was drawn in pencil (HB / #2) on plain white paper, scanned using XANE and contrast-enhanced using the Gimp. It was drawn in a single draft with no erasing or mid-stream changes or corrections. For today though, tell me what level of adventure you would like this stocked for. I originally used it as a map for a randomly generated dungeon starting at level 1 – although the surface level ended up controlled by dwarves and their treasure was more than enough to get the whole party to level 2 before they even considered entering the dungeon proper. But the notes from my random excursion into Erdea Manor are long-missing, so I’ll be stocking it from scratch (and with less use of completely random tables – although I’ll still use them). 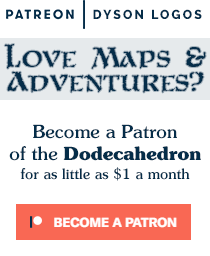 So, what level game do you have in mind right now that you might find this a useful adventure for? This is post 13 in the A to Z challenge – M is for Manor. I’d love a first through 5th adventure! How about a mid to high level dungeon? Something from levels 7-10. 1-5 would be awesome!! And the map looks really great, love the design and the web and skull! I’d prefer it low-level: 1-3 or 4. I have a small group, so it will still work with fewer, higher-level PCs. “Dyson Delve” is almost done, my players are 7th lvl … maybe they can find an hook to reach Erdea Manor for their next adventure … lvl 7+ … and loads of undead … yeah! ty for ur great job ! Love the map. Low level would work for me, top at level 1, or maybe level 2 or 3. Another vote for low level. But really, however it comes will be great.